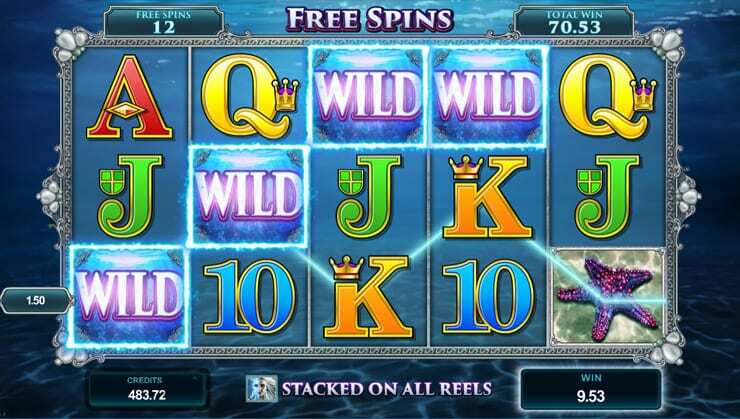 Heres a brand new underwater themed slot game from the team at Microgaming and with loads of great bonus features and intriguing gameplay, it's bound to be one you will enjoy. Embrace the journey as you play the latest 3D slots online available today! Ever wondered where the online casino era started? We know all about it and we can say that you are in good hands with this one, as Arina slots game was designed by one of the pioneers in online casino gaming. Microgaming was the first company that introduced the online casino and gave us the opportunity to play gambling games without leaving the house. 20 years have passed and now Microgaming online casinos take their well-deserved place among the most popular online casinos in the world and are certainly one of our favourites here where you can spin these slots games online today. Are you passionate about snorkelling? Either you are or not, it does not matter, because we are all about to witness the wonders of the deep see alongside the beautiful mermaid Ariana, as she welcomes us in her amazing aquatic world and gives us a chance to play along here, in this fantastic slots that come packed with amazing prizes that can buy you all the pearls of the ocean. Learn more from our guide on how to pick the best slots for various players. All this is possible thanks to the wise tech lads from Microgaming digital gaming development company. The visual appearance is strong with this one, as the game was carefully, cheerfully and crisply designed to match this marine-themed atmosphere. Join Ariana in her kingdom and have a roam as she guides you through, to witness many fascinating things and show you the secrets way of the deep-sea treasures craved by everyone. Enough chit-chat, now let’s jump in the money-making part, the gameplay. This game consists in 5 reels, 3 rows and 25 paylines and comes with bonus features such as free spins and stacked symbols. Reel number one is reserved for specific symbols, so of 3 symbols appear on the 1st reel, this one becomes stacked and the same symbols on the other reels will be expanded to cover the entire reel. 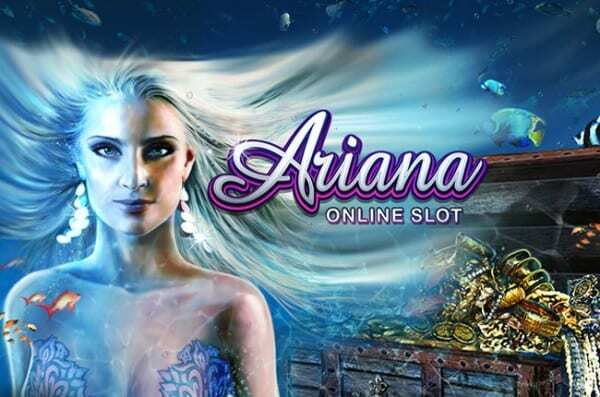 The symbol that can be stacked on any reel is represented by Ariana herself, as landing on 3 or more scatters can bring you up to 15 free spins. As soon as the first reel stacks up with the three identical symbols during this feature, it will trigger the same symbols on other reels, as well as the Wild to expand and incorporate other symbols. The wild in these games substitutes every symbol to create winning combinations, apart from the scatter, a rule which is identical to many competing titles from the online slots gaming industry. We have had a great time playing this title, as we enjoyed the graphic and gameplay part of it, and all the bonuses it offers. Apart from being a very attractive, crisply-designed, simple game, this title also comes with very intuitive ways to play that are perfectly fit for all kind of online casino players, satisfying the needs of the most pretentious gamblers around. There is nothing more to add than giving credits to the lads at Microgaming for doing a great job with this one as well.